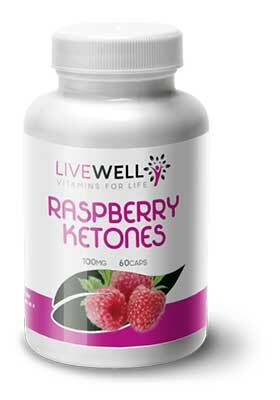 Raspberry ketones is a natural compound that gives fresh Raspberries their distinct flavour. 60 x 100mg vegetarian capsules. Ingredients: HPMC Vegetarian capsule size 0, Brown Rice Flour, Raspberry Extract (4% Ketones), Magnesium Stearate (Veg Source). Take one capsule three times daily with a main meal.